Combine all of the ingredients in your blender. Pour mixture into 5 oz. Dixie cups, filling 2/3 of the way. Freeze for 30 minutes, insert sticks, and continue to chill until the popsicles are fully frozen, 2 hours or more. 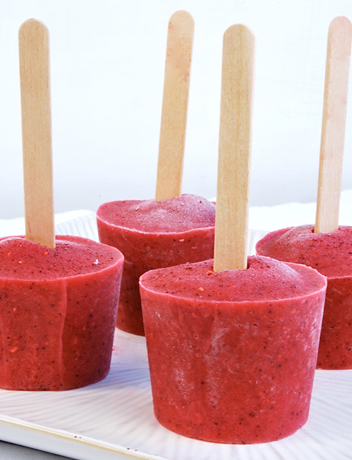 Carefully cut and tear the Dixie cups off of the popsicles, and seal in a plastic bag.